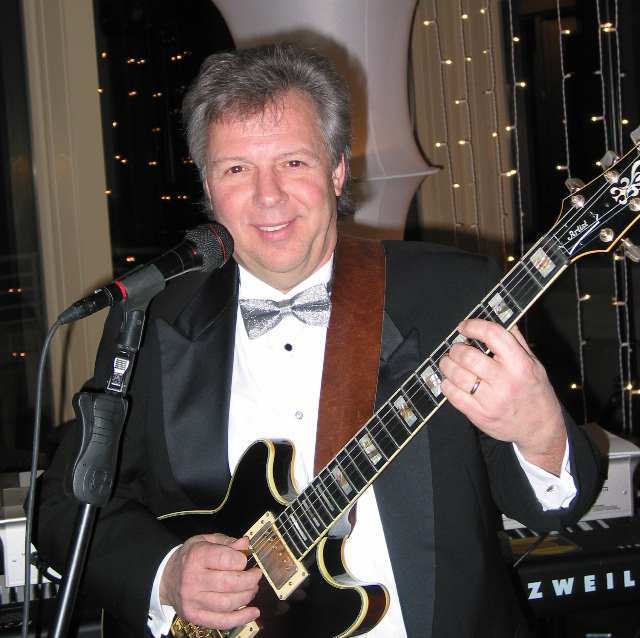 Ron Cooley is one of the midwest’s busiest & most popular musicians. In addition to his work with local bands, Ron performs every Christmas season as a member of the nationally acclaimed group Mannheim Steamroller. He has toured throughout the USA and Germany and appeared on various national TV and radio shows. Ron has recorded solo projects of his own, on the American Gramaphone label and on his own label, Nebraska Sky. He has also received gold and platinum records for his work on Mannheim Steamroller‘s Christmas recordings. Ron has also performed with C.W. McCall at the Grand Ole Opry in Nashville. Cooley’s touring highlights include performing on NBC’s Today Show and Tonight with Jay Leno, ABC’s Good Morning America, the Regis and Kathy Lee Show, and for President Clinton at the National Christmas Tree Lighting ceremony in Washington DC with the Mannheim Steamroller. Ron’s career as a guitarist, educator and composer spans six decades. Ron has studied with guitarists Mick Goodrick, Eliot Fisk, Oscar Ghiglia and Ricardo Iznaola and has performed on countless stages in the United States, Canada and Europe. He has appeared at the Wolftrap Theater in DC in the “Yellowstone Music of Nature” concerts and also as a solo artist at the Kennedy Center for the Performing Arts. Ron has many solo recordings spanning an eclectic blend of instrumental jazz, pop, classical and contemporary acoustic guitar compositions. Ron is a member of Mannheim Steamroller, and also is a member of the praise band at St. Andrew’s Episcopal church in Omaha. He is also a part-time member of the Darkwood Brew internet church service jazz band at Countryside Church in Omaha. Although I’ve seen Ron play for years, recently we’ve had the pleasure of performing with him in a couple of different settings. What an affable, generous and sweet player he is. We look forward to the next time we can make another such musical happening converge. Ron answered FIVE QUESTIONS via email. 1) Thinking back to your childhood, what was it that stuck out about the guitar, that made you pick it up and put so many hours into it? What was your first guitar and how did you acquire it? What were some of the first bands you were in? RC – I actually started on trumpet in 4th grade and then switched to French Horn in junior high school. I discovered guitar halfway through my sophomore year of high school and realized that it was the instrument for me. My dad had an old beat-up acoustic guitar (from his childhood) that I found at grandma’s house and did my best Beatles’ impression playing it. Shortly thereafter I talked my dad into renting an electric guitar and amp for me from Hospe’s music for 3 months. After the 3 month period dad bought me a candy apple red Fender Mustang electric guitar from Hospe’s and a used Gibson Falcon amplifier from a music store in Sioux Falls (I still have the amp!). As my guitar playing skills increased my school focus and grades went the opposite way…not making my parents very happy. Fortunately I was able to bring my schoolwork up to par before the guitar was taken away. I became interested in all the rock bands of the mid-60’s…especially the British ones. 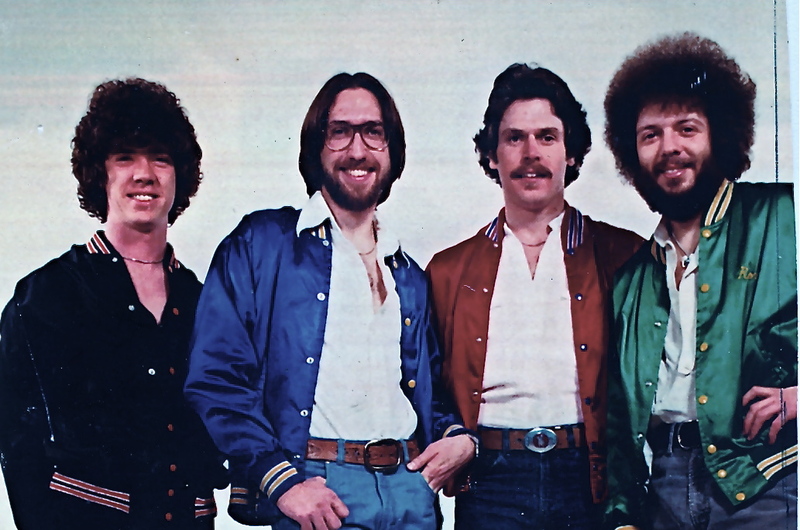 My first combo was called the Moons….we played a few wedding receptions and a lot of fraternity parties….usually we were paid a few dollars each and all the beer we could drink. My senior year of high school I developed an interest in Blues, Jazz and Soul music. 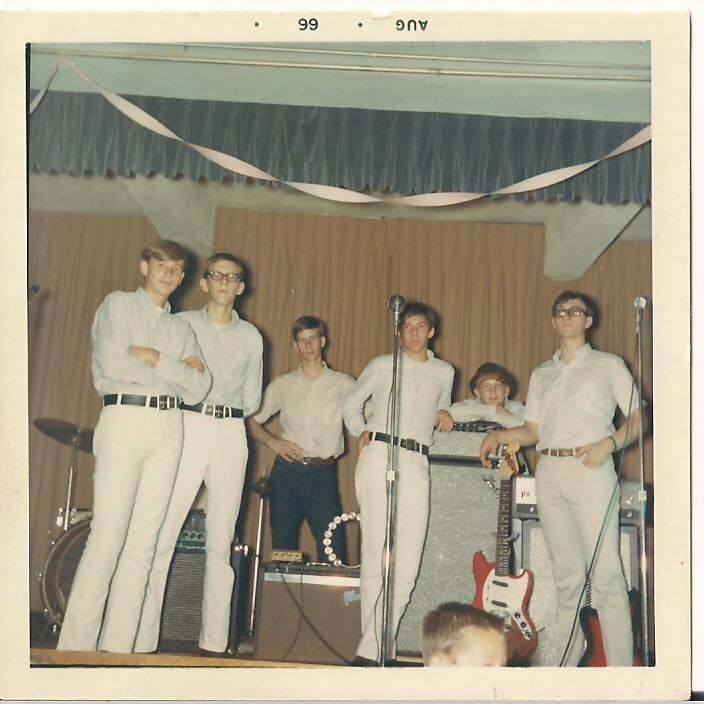 By the start of college I was in a band called the Les Smith Soul Band…………………we played lots of soul music and sprinkled in a few jazz tunes. 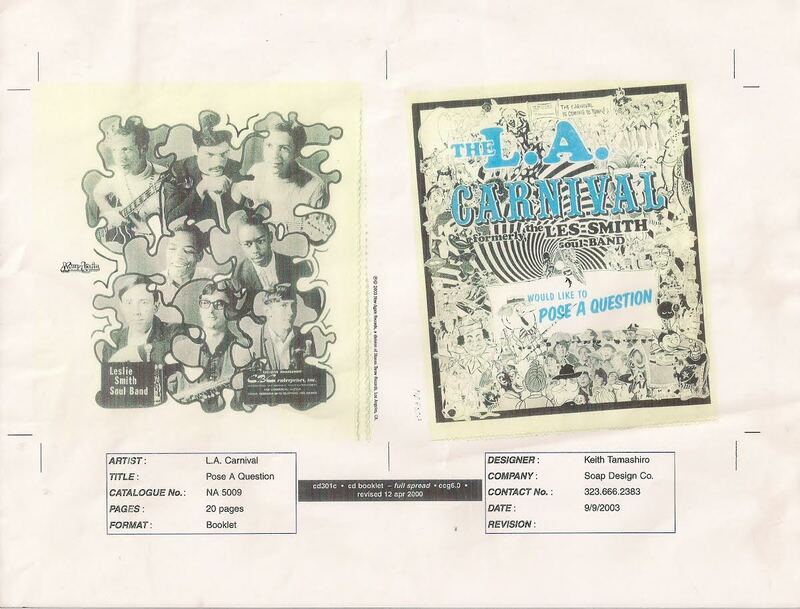 Eventually this band would become the LA Carnival (after Les Smith was drafted into the army). We recorded a 45 and also made a demo tape which later became a full-length CD. 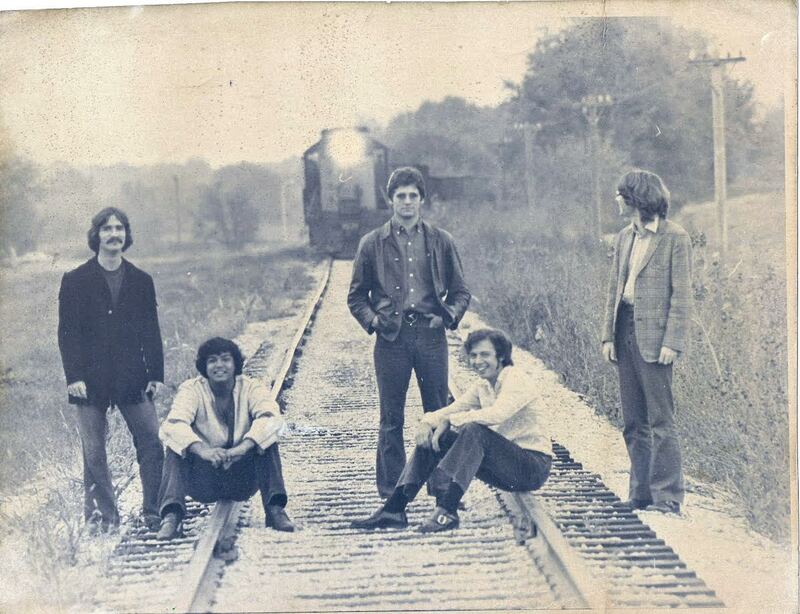 I joined an original music rock band named Pilot in 1972 and played in several versions of this band until leaving for Boston in 1973 to study with jazz guitar wizard Mick Goodrick. I returned to Omaha the following year as a much more versatile and accomplished guitarist and began working with Chip Davis (studio work and touring with CW McCall) and also played numerous stage shows and also played in several “cover” bands….the River City All Stars was probably the most notable one. 2) How did you first get into jazz? How did you first attempt to play it? Who were some of your influences jazz-wise? RC – Some of the musicians I started hanging around with introduced me to jazz right before we formed the Les Smith Band…..I realized that my parents were both into music as performers, listeners and dancers and that I had grown up with a fairly good background of standard songs. All of my bandmates in the Les Smith band influenced me a lot as did other Omaha area jazz musicians….people like Les Abrams, Steve Kavitch (my first informal guitar teacher), Billy Rogers, John Maller, the Beck brothers, Stemsy Hunter, Andre Lewis, Luigi Waites and many more. I listened a lot to jazz guitarists like Wes Montgomery, Kenny Burrell, George Benson (early years), Johnny Smith, Howard Roberts, Joe Pass and Charley Byrd as well as rock/jazz/blues guitarist like Terry Haggerty (Sons of Champlin), Jimi Hendrix, BB King, Albert King, Jeff Beck, Jimmy Page and Eric Clapton. My first attempts at jazz were in the Les Smith band days when we would play tunes by Nat and Cannonball Adderly….we had 3 horn players to solo so I didn’t have to worry about much except comping chords. Eventually I would spend more time listening to and studying the music of Miles Davis, Coltrane, Charley Parker. I also was excited and influenced by Chick Corea’s Return to Forever and John McLaughlin’s Mahavishnu Orchestra. My biggest jazz influence probably was Mick Goodrick, my guitar teacher in Boston. 3) Traveling with Mannheim, you’ve played some epic shows. Any memories/moments stand out? Talk about the contrast between playing for thousands vs. playing for 2 or 3 in a club? 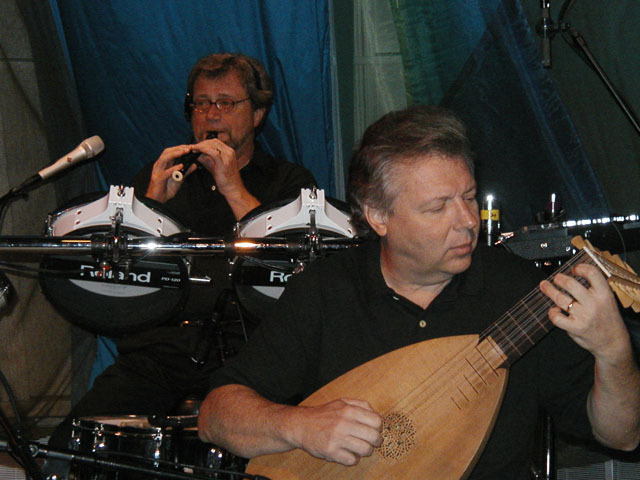 RC – I actually toured with Chip Davis with the country artist CW McCall before I toured with Mannheim Steamroller. As CW McCall, we performed in the mid 1970’s on the Midnight Special and also Don Kirshner’s Rock Concert. We also played at the Grand Old Opry in Nashville. These were very memorable gigs. With Mannheim Steamroller we have played many national tv shows and concert halls and arenas. We also have performed in Canada, Mexico, Germany and Puerto Rico. All of these are memorable in one way or another, but being on the Tonight Show with Jay Leno, the Today Show with Katie Couric and performing at the national Christmas tree lighting ceremony in Washington DC with President Clinton and again later with President GW Bush (and touring the White House) were probably the top highlights. As far as the crowd size goes, I have learned to accept the differences in number and energy and try to play from the heart no matter how many people are listening. 4) Who do you listen to right now? What players out there currently do you think really ‘have it’ & are moving and shaking it up? RC – I still pull out old CDs of the 60’s jazz players…..it seems that I still have a lot to learn from them and love the harmonic complexities of Bill Evans, Wes Montgomery, etc. players. Stan Getz has always been a favorite of mine….I think I would be a Tenor Sax player in another life. 5) What goals short-term and long -term do you have for your career? RC – It’s a little late for me to be thinking about long term goals but short term I would like to compose and record a few more projects. I also have some compositions that I need to have recorded for archival purposes but since they are orchestral in nature my best bet would probably be to notate them on Sibelius and hope they are performed live some day.